It's warmed up a bit this week - at long last!!!!. I'd had an early morning session at the coast and having encountered a large dangerous swell (contrary to the surfer's blog forecast) I didn't fish, returned home and went back to bed. 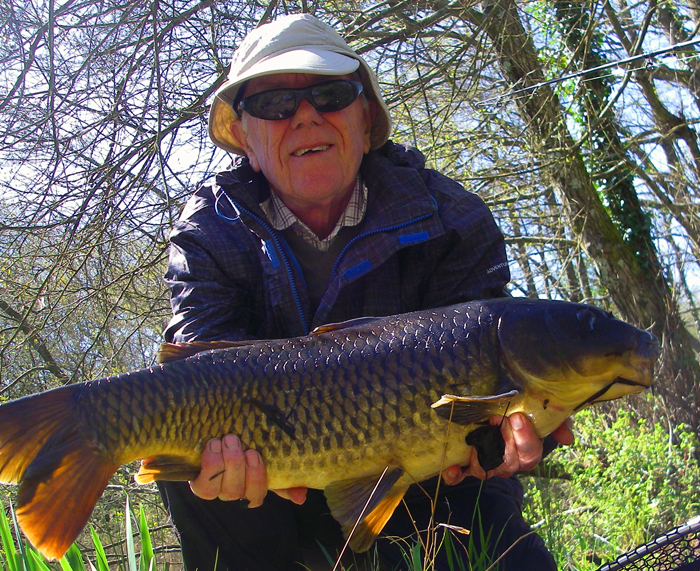 The next option was to try a spot of carp fishing. Now the carp have been slow to move in the long cold spell so I was half expecting things to be a bit laboured - and I was right. I fished my favourite method, floating crust on a size 6 or 8 hook and after a couple of hours it was looking grim. Only two freebies had been sucked in by carp and despite the fact that I could see dozens of nice fish among the reeds my baits remained unmolested. 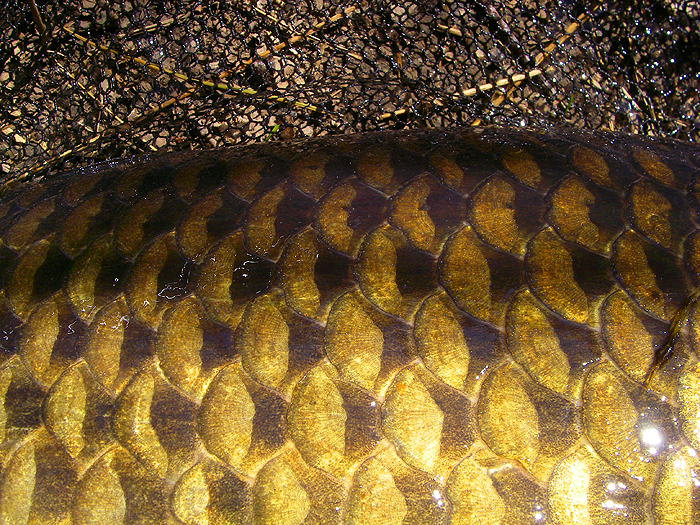 Most of the fish simply lounged about near the surface soaking up the unaccustomed sunshine and ignoring everything. Occasionally one would jump or a small group (possibly thinking of spawning?) would hurry past, one behind the other. For the umpteenth time I lobbed out a crust so that the line lay across the reeds with none on the water to rouse the suspicions of the carp. I waited and waited and waited. I was beginning to think that the bait must be getting so soft that it would drop off the hook at any moment but I could see fish nearby so I hung on. Suddenly there was a sucking noise, the crust disappeared and the rod whanged over. I could hardly believe it but I was in. After a couple of minutes of hectic action involving me, the fish, the many dry brown reeds, a couple of lily leaves and a bed of old pondweed the carp was in the net. I heaved a sigh of relief, snapped a couple of quick pictures and slipped it back into the water. Perhaps next time it will be a bass or a mullet from the saltwater.